GALION — Registration is open for Galion Safety Town are now available. This summer’s program is July 24-27. The Galion Police Department organizes the program to educate children on a variety of safety topics before they start school. There is no cost for this event. It will be held at Galion Primary School for any child living in the Galion City School District, who will be in kindergarten for the 2017 – 2018 school year. Students to not need to attend Galion City Schools. “This is a great program that educates our young students. We teach about bicycle safety, how to cross the street, fire safety and health and hygiene,” Police Chief Brian Satterfield said. For bicycle and traffic safety, a “Safety City,” complete with small buildings and traffic lights will be built in the parking lot at Galion Primary School. Students will ride bicycles provided by the program through the Safety City. Look for another story on ways to keep your children safe during the summer on Page 4 of today’s Galion Inquirer. Other educational programs throughout the week will allow children to meet a police officer and learn about school bus safety. The Fire Department will also be there to teach fire safety basics. Forms will be included in kindergarten registration packets, or they can be picked up at the Galion Police Department. The online form is available on the City of Galion website. Completed forms can be mailed or dropped off at the Galion Police Department, 301 Harding Way East. 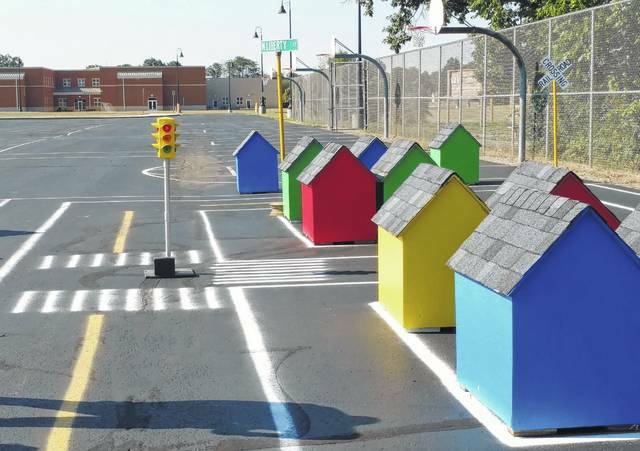 Submitted photo | Galion Inquirer Galion Safety Town is July 24 – 27 at Galion Primary School. Registration forms will be included in kindergarten registration packets, or they can be picked up at the Galion Police Department. The online form is available on the City of Galion website. https://www.galioninquirer.com/wp-content/uploads/sites/38/2017/07/web1_IMG_20160803_095751837.jpgSubmitted photo | Galion Inquirer Galion Safety Town is July 24 – 27 at Galion Primary School. Registration forms will be included in kindergarten registration packets, or they can be picked up at the Galion Police Department. The online form is available on the City of Galion website.